ONE of the great advocates of his generation was educated in Helensburgh and spent his retirement at Cairndhu, the mansion on the seafront which is now a care home and was for many years until 1984 a popular hotel. 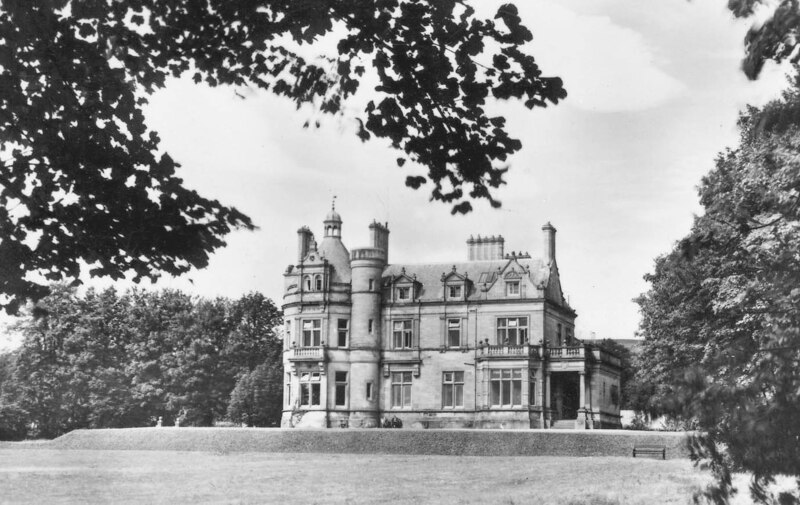 Alexander Ure, first Baron Strathclyde, was the second son of John Ure (1824-1901), flour merchant and a distinguished Lord Provost of Glasgow, and his wife, Isabella, who built Cairndhu to be the family home. He was born in Glasgow on February 24 1853, and educated at Larchfield Academy — in those days an all age school — and at Glasgow University, where he graduated MA in 1872, BL in 1874, and LLB in 1878. He was made an honorary LLD by the university in 1907. In 1878 he was admitted to the Faculty of Advocates and began his career at the Scottish bar. The next year he married Margaret McDowall, daughter of Thomas Steven, a Glasgow iron merchant. They had one daughter, who died in 1918. His career took off quickly thanks to his influential connections with the west of Scotland, the source of most of the lucrative commercial litigations in the Parliament House, and a natural gift of robust and telling advocacy. After only four years of junior practice he was called to the bar in 1878. For the next ten years he was a lecturer in constitutional law and history at Glasgow University, but this appointment, which did not require him to live in the city, did not interfere with his professional progress. Like many other ambitious young advocates he took up politics, but his first attempt to enter parliament as Liberal candidate for West Perthshire in 1892 was unsuccessful. 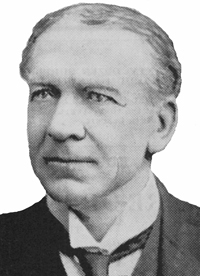 He also failed in 1893 to secure election for Linlithgowshire, but at the general election in 1895 he was returned in that constituency which he represented until his elevation to the bench in 1913. From 1905 to 1909 he was Solicitor General for Scotland, before that year succeeding Lord Shaw (later Lord Craigmyle) as Lord Advocate and becoming a member of the Privy Council. Physically vigorous and an excellent public speaker, he had a high profile in politics, while continuing his legal work. He particularly excelled in cross-examination. His most famous case was in 1909 when he conducted the prosecution in the controversial trial of petty criminal Oscar Slater for the brutal and bloody murder of wealthy 82 year-old Marion Gilchrist in Glasgow, and secured from the jury a verdict of guilty by a 9-6 majority. The death sentence was commuted, but the verdict was widely considered dubious. Sir Arthur Conan Doyle was among those who believed in Slater’s innocence and campaigned for his freedom, and finally in July 1928, after Slater was freed, the High Court of Justiciary quashed his conviction. 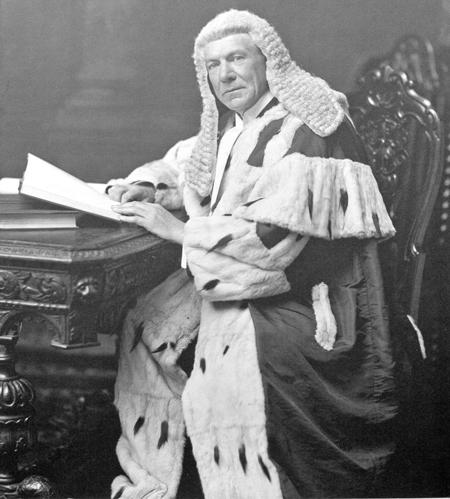 In 1913 Ure succeeded Lord Dunedin as Lord Justice General for Scotland and Lord President of the Court of Session, and in 1914 he was raised to the peerage under the title of Baron Strathclyde of Sandyford, County Lanark. He proved immediately to be an efficient and capable judge, courteous, attentive, and alert. He always had an eye to the practical issue, his judgments were models of clarity, but he was sometimes opinionated and outspoken. During World War One he was untiring in his services on behalf of recruiting, war savings and food economy, addressing hundreds of meetings all over Scotland on these subjects. He also served as chairman of the Scottish War Savings Committee. An intrepid yachtsman, he was also a keen walker. On one occasion he walked from Edinburgh to London, and on another from London to Land's End. During the First World War he rendered valuable service in promotion the Scottish War Savings Association, in recognition of which he was made a GCB in 1917. Three years later ill health forced him to resign from the bench, and he retired to Cairndhu. It was said to be characteristic of him that he gave up the pension to which he was entitled. He died at home on October 2 1928, and the peerage became extinct. He was survived by his wife, and left estate of £150,180 18 shillings and one penny. Cairndhu was built in 1871 for his father to the design of architect William Leiper in the style of a miniature French chateau, with magnificent stained glass windows by Daniel Cottier. It is particularly noted for its dramatic black and gold Anglo-Japanese ceiling with sunflowers, bamboo and birds. The photograph of Cairndhu was taken by the late Bill Benzie, a professional photographer in Helensburgh for many years.